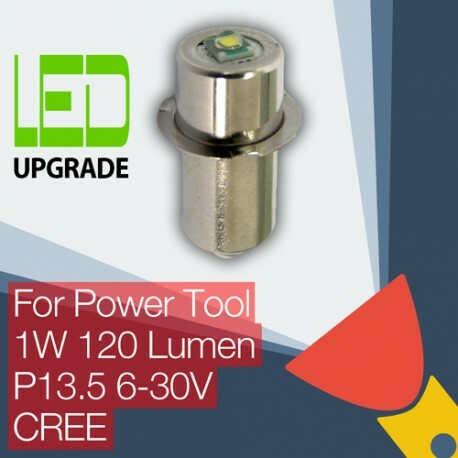 Fits many popular power tool torches that use the P13.5 flange type lamp base. Examples include: BLACK & DECKER B4D, FSL18, BDL18. BOSCH GLI 18v, PLI 18v, 3452. DeWALT DW904, DW906, DW908, DW909, DW915, DW918, DW919, DW926, DE9043, DE9083, SW917. HITACHI UB18D, UB18DAL, DS18DVF3. MAKITA BML185, ML120, ML121, ML140, ML180, ML185, ML702, ML902, ML903. MILWAUKEE M12, M18. PANASONIC EY3796. RYOBI CFP180SM, FL1400, FL196, LFP1802s, RFL180M, RYOBI ONE+. SNAP-ON VERSAVOLT. WORX 18v. 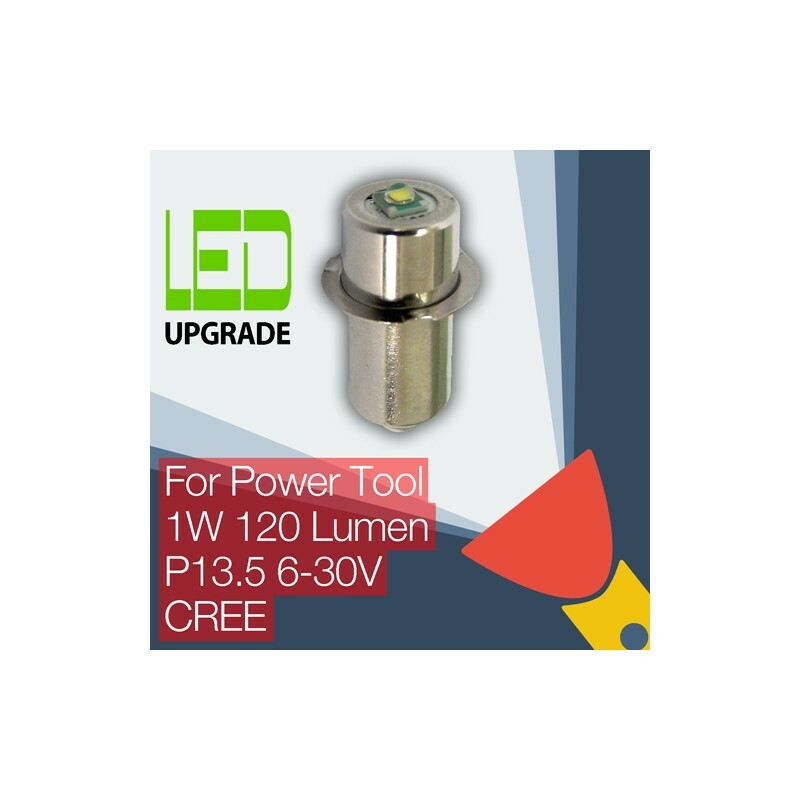 Great bulb and makes a real difference to the Hitachi 18V light unit. True spot light now with a bright white light. A excellent upgrade to the light unit. Super fast delivery. Simple fitting into a Ryobi One+, brilliant output. Very bright compared to the original bulb and far whiter (rather than yellow) light and I'm guessing much lower power consumption so torch should last a lot longer between charges. Good upgrade! Originally ordered wrong bulb. Totally my fault. Spoke with Ross who was extremely helpful and understanding. Bulbs exchanged in a couple of days and the difference is unbelievable. Thank you Torch Upgrades for your help, advice and extremely efficient service. Will definitely use again.